Portion of the crowd attending Punkin’ Chunkin’ 2017. 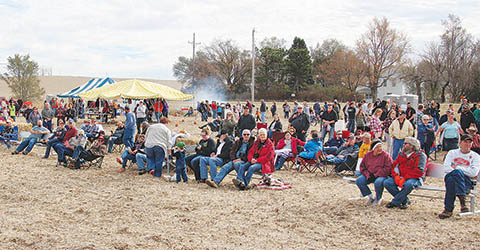 Spectators came from across Northeast Nebraska, but the crowd size was slightly smaller for the 14th annual Punkin’ Chunkin’TM event east of Petersburg last Sunday, Oct. 29. This year, there were five air cannons participating, along with one large catapult and two smaller trebuchets. The crowd size was estimated at 600 people. Committee members said they were well satisfied with the number, considering the fact that most farmers are still busy with harvest. Spectators from Germany, The Netherlands and Sweden were on hand this year. Shuttle driver Larry Petsche counted cars from 25 counties in Nebraska, as well as Iowa and Kansas. Punkin’ Chunkin’TM featured an expanded lineup of kids’ events for 2017, with a very competitive obstacle course, pumpkin painting, face painting, treasure hunt and much more. 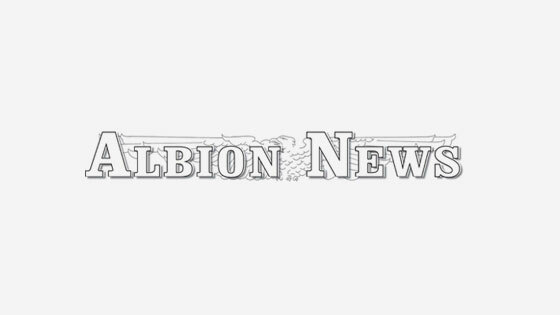 “Grandpa’s Gun,” the air cannon owned and operated by Ralph Weeder of Lindsay and his grandsons, again won first place in the distance competition. Shooting into the wind, they had a top distance of 3,448 feet. The mark was well short of their distance last year (3,995 feet) and short of the record 4,095 feet they set in 2015. The Weeder team again won the $500 top prize money and donated half of their winnings back to St. Jude’s Children’s Research Hospital, which is the designated charity each year for Punkin’ Chunkin’TM. Team members in addition to Ralph were grandsons Kyle Wegener, Nick Jarecki, Matthew Wegener, Breckin Weeder and Easton Baumgart. Placing second was “Punkin-Zooka,” the D. J. Scholl team from Petersburg, with a distance of 3,089 feet. Team members were Duane Scholl, Justin Scholl, Dennis Scholl, Janice Mangelson and Michelle Scholl. Third place went to Gabe Jaeger’s “Red Neck Revenge” team of York, with a distance of 2,003 feet. 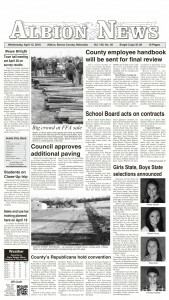 Members in addition to Gabe were Jaime Jaeger, Kenzie Jaeger and Graham Jaeger. Details and more photos in the Nov. 1 Petersburg Press and Albion News, Print and E-editions. 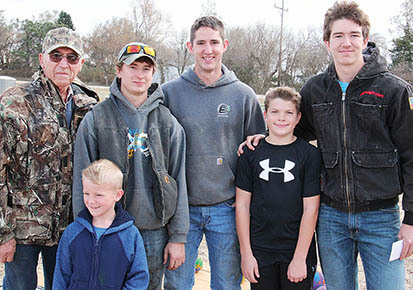 Ralph Weeder and his grandsons were repeat winners in the distance competition.